You can throw a great party and serve healthy food. Parties can be a time to let loose and eat or drink a little more than normal, which feels great in the moment, but usually not so much the next day. With some tweaks and upgrades, you can throw a fun party, enjoy the food and not worry about restricting yourself or overindulging. Like with your regular diet, go for high-quality ingredients and filling foods. If you and your guests can get full on some healthy foods, everyone will be less likely to overindulge out of hunger, and they’ll get the added nutrients, vitamin and minerals that the healthier foods provide. Think about your go-to party appetizers and see if you can switch out any of those with the upgrades below, or start fresh and try something new. 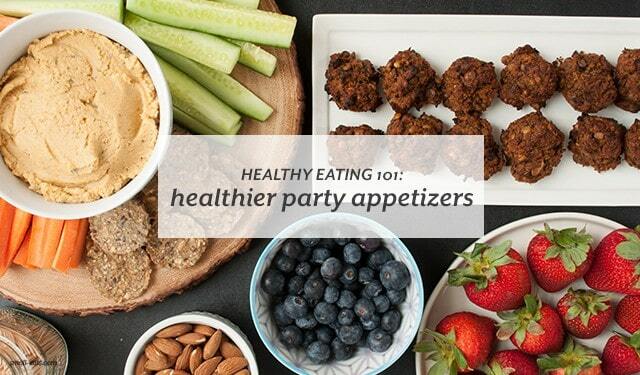 Read more on the many healthy appetizers you can make for you next party at Azumio’s blog.